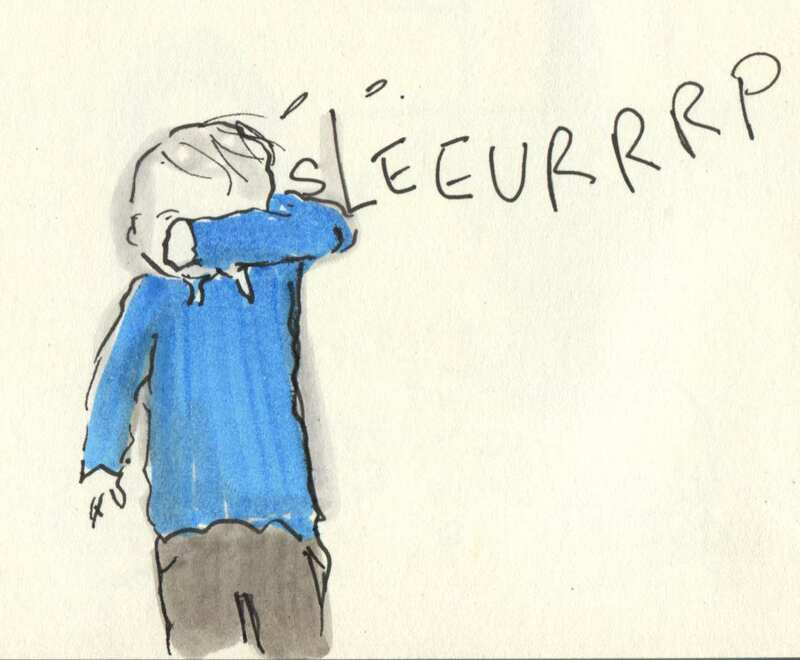 Posted on September 11, 2015, in Uncategorized and tagged Children, Colds and flu, Doodlemum, Life, Sketchbook. Bookmark the permalink. 8 Comments. Oh dear. I hope everyone is healthy again soon. Oh, clockwork…hopes it moves away swiftly! Och Jings! One look at that pic and I’ve started coughing! All your posts are so cute and captures an emotion perfectly. I can’t beleive it took me so long to land up here. Love everything about you blog. only took two days for us! unbelievable! I got my first “winter” sore throat two weeks ago…my daughter says I like to be a trend setter! Poor Gruff, I hope he gets better soon. Can you stick him in some sort of isolation unit (hen house/ understairs cupboard etc), filled with lego, dinosaurs and calpol, until he recovers? !